2 double bedroom TOP FLOOR APARTMENT in EXCELLENT TOWN CENTRE LOCATION within WALKING DISTANCE of SHOPS and BEACHES. Separate kitchen. SPACIOUS LOUNGE/ DINER. En-suite bathroom with shower cubicle plus additional bathroom. SECURE OFF ROAD PARKING. Gas central heating. SHARE OF FREEHOLD. 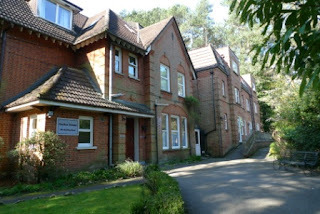 ATTRACTIVE GROUND FLOOR APARTMENT in FANTASTIC LOCATION within WALKING DISTANCE of Bournemouth TOWN CENTRE and SEAFRONT. Two bedrooms. TWO BATHROOMS. Separate stylish kitchen. GARAGE. Gas central heating. LIGHT AND AIRY LOUNGE. PRIME TOWN CENTRE LOCATION just a FEW MINUTES WALK from shops, beaches and restaurants. PRIVATE ENTRANCE. Neutral interior. RECENTLY FITTED KITCHEN. Open plan living room/bedroom. Bathroom with SHOWER OVER BATH. Water & Sewage included in service charge.